Famous for: Museum, history, memorial and heritage. Entrance Fees: 50 per person. Visiting Time: 9 AM to 12 PM and 3 PM to 6PM. Duration of Visit: 60 to 120 minutes. You can say that the state of Uttarakhand is divided into two major parts mainly the Garhwal and the Kumaon region. The defence sector of our country has seen active participation from the youth of both regions. The spotless and well maintained town of Lansdowne, which is a cantonment town in Pauri Garhwal District is actually the home of Garhwal Rifles. This sleepy town which is quite remote from the other parts of the state is actually famous for the Darwan Singh Sangrahalaya or Museum. The following article is a comprehensive guide for the same. A digital camera or a smartphone with a powerful camera may come in handy as the place is surrounded by the pristine beauty of mother nature which is sheltered by the blue Sky. Wear comfortable shoes because this place involves a lot of trekking. Always keep cash in hand, there can be a shortage of ATMs and debit/credit card services at some places. Due to the presence of scorching heat in the summer months, we’ll advise you to keep an umbrella with you or wear shades. Once you are inside the premises of the museum maintain the decorum and please be silent. Lansdowne is still particularly untouched by urbanization. It is a clean and well maintained town thanks to the Garhwal Rifles and the Government of Uttarakhand. Enjoy the lush green mountains of Garhwal Ranges and relax in the pleasant environment. Visit the museum and catch a brief history of unsung Garhwal Heroes and bravery of the Garhwal Regiment. The museum is adorned by old armaments, guns and cannons. The best means to explore and discover Lansdowne is by foot. Put on some comfortable sports shoes and go for a leisure walk while you sightsee this beautiful hill station. Guides are not required because this place is best explored on your own but still if you feel the need then hire a guide from the State Tourism Board. The summer season is the ideal time or the on-season period for the tourists. Months of March to June witness the highest footfall in the entire year. The right time for the adventure enthusiasts as activities like trekking, hiking and camping are on an all-time high. It is not advisable to visit the town during winter season citing the heavy snowfall. Darwan Singh Sangrahalaya is about 5 kilometres away from the Lansdowne Bus Stand. The nearest Railway station at Kotdwar which is 40 kilometres away. If you have arrived from the airport, then we would suggest you to take the route which goes via Gumkhal Silogi Rishikesh Road as the museum is about 118 kilometres away from the Jolly Grant Airport. Some other modes of transport like prepaid cabs are also available. Lansdowne is named after the Late Viceroy of India “Lt. Lord Lansdowne”. Darwan Singh Negi for his bravery received the Victoria Cross. He is the second recipient of this prestigious award. 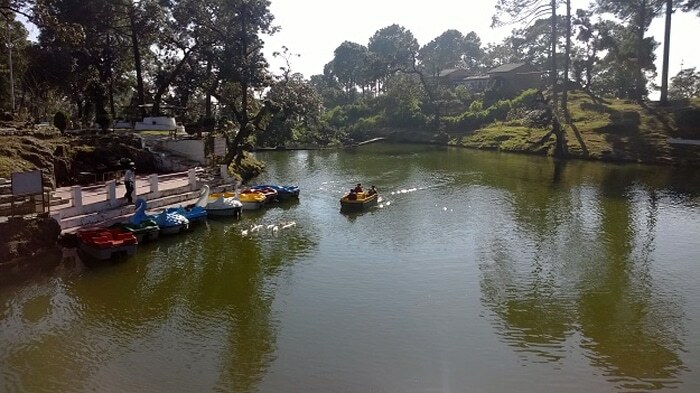 Other points of interest which are frequently flocked by tourists and travellers is the Bhulla Tal Lake, Saint Mary’s Church and Tip In Top. One of the must visit places if you are new in Lansdowne. The small-town dates back to the British Era and has served as a base for some of the major infantry regiments. The home of the Garhwal Rifles where you can catch a glimpse of the bravery and zealous legacy of our armed forces. Taste the gallant history of the regiment while you explore this beautiful town and hill station.